We designed an entire private island just for you! Enter a world designed just for you where we take over an entire secluded resort with all your friends. This is the perfect place to celebrate with your crew and find a million new ways to feel alive. 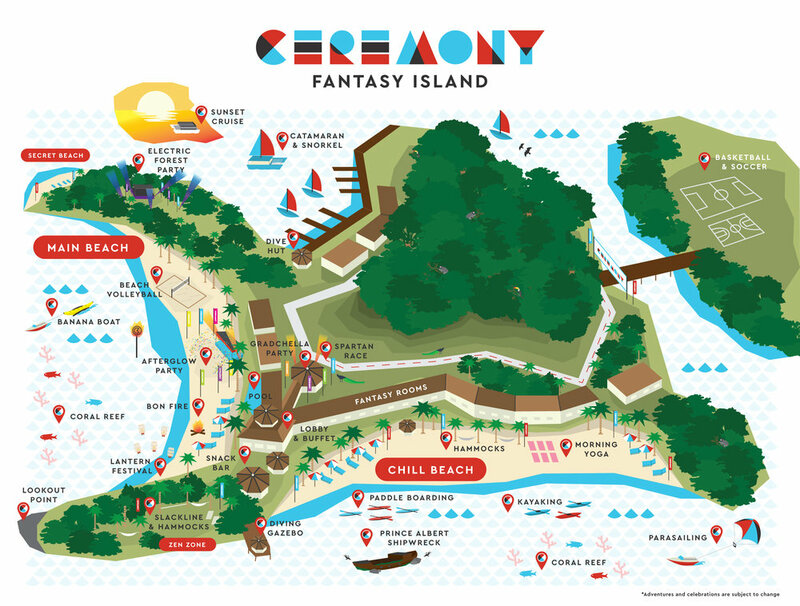 Check out this map of Fantasy Island and if you’re not fired up - look closer because there is something for everyone. Imagine travelling to live on your own private island in paradise with your friends and a few hundred other grads! Fantasy Island is the most epic thing to happen to Grad Trip since boomerang. Learn more about Ceremony Travel!